The 10-day self-drive Iceland Ring Road tour will take you through dramatic landscapes around the island with exciting activities included to enrich your journey. 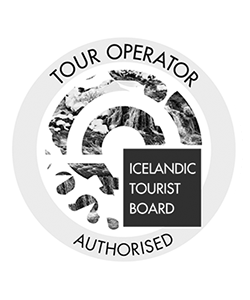 You will go on a glacier hiking tour on the glacier tongue from the fourth largest glacier in Iceland, and go on a whale watching tour near the capital of the north. It’s perfect for adventurers who want to hit the road right away after they land in Iceland. You can pick up your selected rental car in the airport or in Reykjavik. And each night you will stay in a comfortable room with private bathroom, and delicious breakfast in the morning. It’s the best value for experiencing Iceland to the fullest as our trip covers Reykjavik area, the Golden Circle, the Snaefellsnes Peninsula to name a few, all of which are spectacular sightseeing locations. 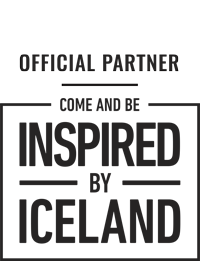 And many more in our detailed guide! Your road trip begins when you pick up your rental car at the airport. Before you reach the world’s northernmost capital, you will drive across the Reykjanes Peninsula where fields of lava and moss spread extensively. Reykjavik is waiting for you with its Nordic charm. 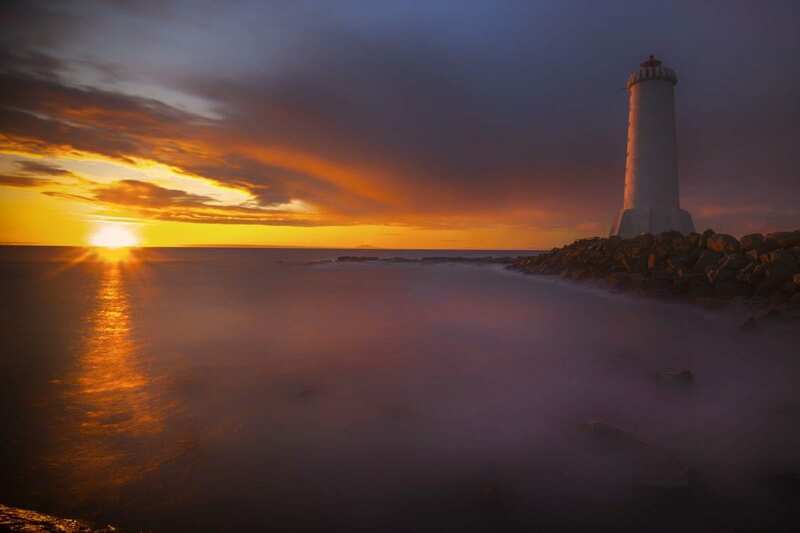 You will start exploring Reykjavik and its neighboring towns on your own pace and the Capital Region has a lot to offer. Then you will hit the road again on the popular Golden Circle Route to the heart of the nation where it holds significance in culture, history, and geography. 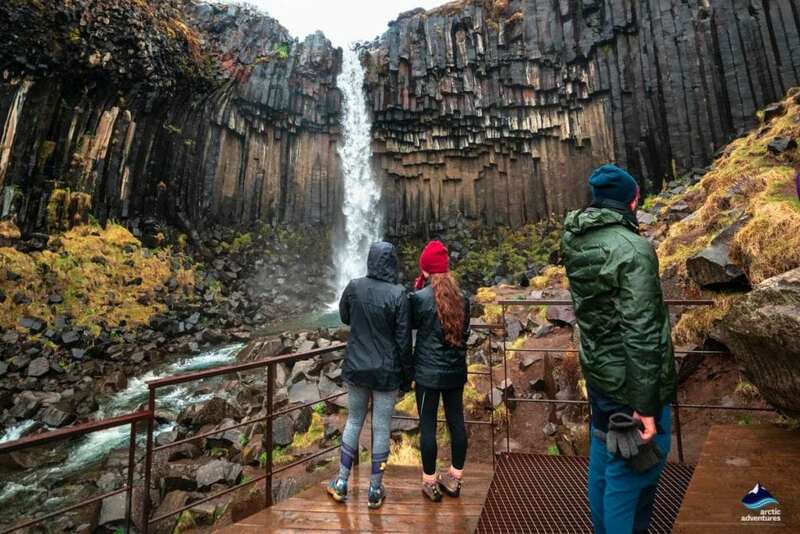 You will visit Thingvellir National Park that’s located between two tectonic plates, you will gaze at geysers hurling up to the sky, and see the majestic Gullfoss waterfall rumbling down to the gorge as an enormous amount of misty spray covers the valley. Next up, you will drive to the stunning South Coast of Iceland. Along the Ring Road, you will visit numerous spectacular waterfalls, world-class black sand beach, phenomenal cliffs made of basalt columns, sea stacks, and the glorious glaciers – one of which you will explore with our expert glacier guide. Driving to the east, you will pass by the most voluminous glacier in Europe which is also Iceland’s largest ice cap, Vatnajokull glacier. There are many fabulous places in the area, including Skaftafell Nature Reserve, Svartifoss waterfall, and Jokulsarlon Glacier Lagoon. On the next day, you will drive into the untouched wilderness in East Iceland via the meandering Ring Road. The road trip is pushing into Iceland’s remote region where you will see dramatic landscapes undisturbed. You will drive by vibrant towns, glamorous fjords, fascinating waterfalls plunging over multi-layered cliffs, colorful volcanic crater lakes, and many other iconic Icelandic natural attractions. Soon, you will reach North Iceland for your whale watching adventure. North Iceland is home to many stunning waterfalls, bubbling geothermal mud pools, fantastic rock formations, and the vibrant capital of the north. 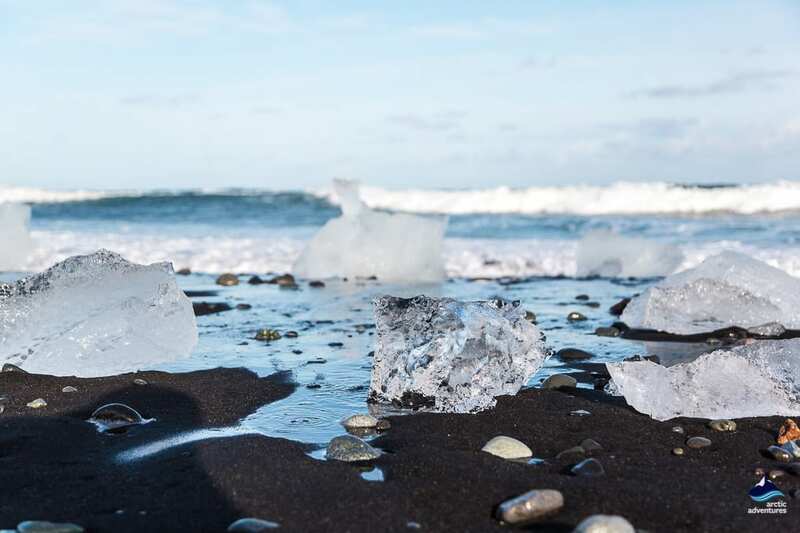 Your day staying in this region is filled with joys before you drive towards the west to the Snaefellsnes Peninsula that’s nicknamed “Miniature Iceland.” After visiting numerous fantastic highlights and landmarks, a sense of familiarity will encircle you since you will drive back to Reykjavik. On the last day of the road trip, you will drive through the Reykjanes Peninsula to the airport ending your unforgettable Ring Road trip in Iceland. The 10-day Iceland self-drive package offers everything you need to explore the amazing country, including a rental car, accommodation, and a detailed mobile-friendly itinerary. On Day 10, you have the option of going for a soak in the famous Blue Lagoon located in the Reykjanes Peninsula if your flight schedule allows. Blue Lagoon admission fee is not included in our self-drive package, and since a pre-booking is required to enter the Lagoon, we recommend you booking your visit the Blue Lagoon website. Please remember to bring a bathing suit and a towel if you’re not planning to rent them at the reception. Remember to bring: Warm layers (woolen or fleece), waterproof clothing, headwear, scarf, gloves, we highly recommend you bring hiking boots since they are essential in exploring Iceland, driver’s license, sunglasses, and please check on the road condition and weather condition online frequently if you are traveling in winter. To offer the best price possible, this self-drive package is fixed and cannot be changed or altered. The package has been optimized for the best experience. The Ring Road is also called Route 1, Highway 1, or in Icelandic Þjóðvegur 1. The speed limit on most part of the road is 90 km/h (55 m/h), but you need to look for signs that say otherwise. The Road is paved on most part but there are some gravel stretches here and there with a sign standing nearby. The Ring Road is mostly two-lane road, while there are single-lane bridges at some locations. It’s not hard to find gas stations along the Ring Road. This package is ideal for morning arrivals. After you pick up the rental car at the airport, you will head to the country’s capital Reykjavik and spend a day in the Capital Region. 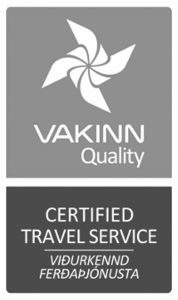 For those who arrive in a later time of the day, we recommend that you book a night’s accommodation in Reykjavik area, simply set Reykjavik as your rental car pick-up location, and start your journey the following day. There’s so much to see in Reykjavik and in its neighboring towns. The downtown area of Reykjavik is walking-friendly and you can visit Hallgrimskirkja Church, Harpa Concert Hall, Reykjavik City Hall, and Tjornin Pond in a couple of hours. Then you can steer your wheels to Perlan Museum or Reykjavik Botanical Gardens for some of the most amazing exhibitions about Iceland’s nature and culture. Another historical town close to Reykjavik is Hafnarfjordur. The port town is perfect for an evening wander as its colorful houses and harbor scenery is hard to forget. On the northern tip of the Capital Region, you will find quite a lot to explore as well. You will stay in the Capital Region for the night in a hotel room with a private bathroom. You will head out to the iconic Golden Circle in the morning. The area is within the 100-kilometer radius from the capital and it features Iceland’s most powerful natural wonders and fascinating landscapes. Your first stop on the route is Thingvellir National Park. The UNESCO site sits right between the North American and Eurasian continents, and the divergent tectonic plates keep moving at a pace of 2 cm per year, making Thingvellir even more attractive. The pathway in Thingvellir is paved for you to walk between two continental plates, as it passes the only visible part of the Atlantic Ridge that’s mostly submerged in the ocean. You will walk past waterfalls, streams, and tranquil water filling the huge cracks on the ground. The world’s oldest parliament was established in Thingvellir, and it’s regarded as the heart of the nation. Another closeby attraction is Silfra Fissure where you can snorkel or dive between two continents. Next up, you will drive to Geysir Geothermal Field. You will see the amazing Strokkur hot spring gushing up 30 meters to the sky every 6 – 10 minutes. Nearby Great Geysir hot spring has been quiet in recent years, but it used to hurl up to 60 meters in its old glorious days. The field is characterized by hot mud pods, steaming hot springs, and smoking fumaroles. It’s simply amazing to see. Then you will drive to Gullfoss, the Golden Waterfall. As one of Europe’s most voluminous waterfalls, Gullfoss rumbles down to the gorge in two stages. First 11 meters before it plunges down to the valley whose cliffs reach up to 70 meters from the bottom. The water is originated from Langjokull, the second largest glacier in Iceland feeding river Hvita to move powerfully from the north to the south, making Gullfoss a must-see spectacle in Iceland. If you want to explore the amazing glacial river Hvita, there are also river jet and rafting activities available down the stream. And if you want to experience snowmobiling on a glacier, Langjokull is the best location and the meeting point is right there close to the waterfall at Gullfoss Café. After visiting the Golden Circle, you will drive to Selfoss area for the night. From Gullfoss to Selfoss, there are a couple of ways. We highly recommend that you drive via Road 35 for two reasons, it’s the shortest to reach your destination, and on your way, you can stop by Faxi waterfall (Vatnsleysufoss in Icelandic), the historic, cultural-rich town Skalholt, and the beautiful volcanic crater lake Kerid, if time allows. Selfoss is a perfect place for the road trip travelers since it has plenty of grocery stores, restaurants, and gas stations. After a nice breakfast, you will resume your journey from Selfoss to the picturesque South Coast. Along the Ring Road, you will pass through the dramatic landscapes. On your left side you see glaciers rising up to more than 1000 meters above sea level and on your right side it’s the lowland stretching to the sea. Soon you will reach your first stop at Seljalandsfoss waterfall. It’s one of most photographed waterfalls in Iceland as you can walk behind the waterfall to see the whole area through the opposite angle which is quite amazing. The waterfall is 63 meters high and the water is originated from the notorious volcano Eyjafjallajokull glacier. Only 10-minute walk away from Seljalandsfoss, you will find a secret waterfall hidden behind cliffs. It’s Gljufrabui. It’s better to put on your waterproof jacket and pants to walk into the small canyon to see the waterfall. The next highlight attraction along the coastline is a 25-minute drive away down the road. The waterfall is nothing like what you have seen so far. Skogafoss waterfall has an enormous cascade plunging down from 60 meters high up. As one of the largest waterfalls in Iceland, Skogafoss is always accompanied by a rainbow on a sunny day. Such a spectacular scene in the middle of beautiful landscapes. 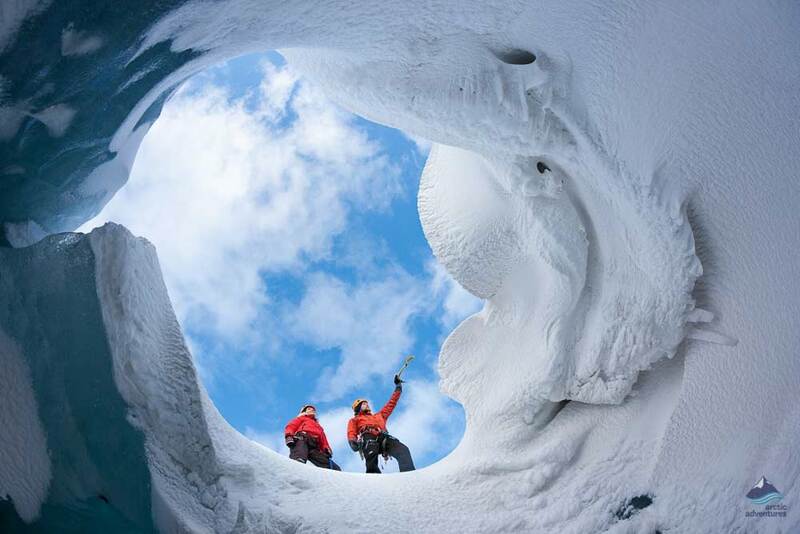 The most exciting activity of the day is your scheduled glacier hiking tour. At 1:30 p.m., you will meet our expert glacier guide and head out to Solheimajokull glacier for your adventure. The unforgettable experience will take you on Solheimajokull glacier tongue, while a friendly glacier guide sharing his knowledge about Icelandic glaciers. Then, you will drive to the picturesque seafront town, Vik. On your way, you can stop by Dyrholaey, a promontory rising 120 meters above the sea. The area is a paradise for seabirds including the cute puffins. There’s a white lighthouse on the top. In the panorama from the top, the amazing sceneries of the South Coast you will see are the silver glaciers, shades of mountains, charming black sand beaches, and stunning sea stacks. Then, you will head out to Vik, a scenic town sitting in front of the ocean where you will see the landmark red-roofed church high up on the hill. Your accommodation will be in Vik or Kirkjubaejarklaustur area. 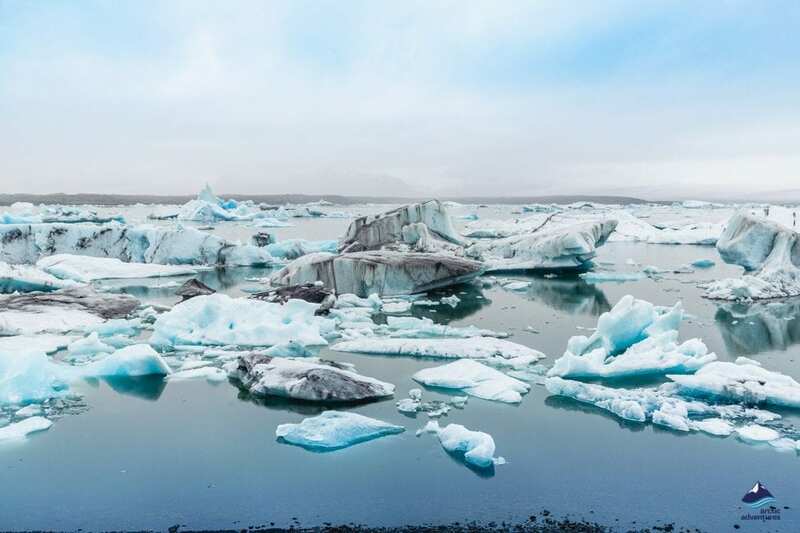 Leaving the southernmost tip of Iceland, you will head east to visit Jokulsarlon Glacier Lagoon, the crown jewel of natural attractions in the country. On your way, Skaftafell is your first stop of the day as it’s one of the largest nature reserves in Iceland with a lot to do and see. As a part of Vatnajokull National Park, Skaftafell is where you can start a journey to the enchanting crystal ice cave. You can also choose to visit Svartifoss Black Waterfall, a 20-meter high waterfall that drops from basalt columns in geometrical patterns. It’s only a 40-minute walk one way to reach the waterfall and its surroundings are completely breathtaking. Jokulsarlon Glacier Lagoon is about 46-minute drive away from Skaftafell Visitor Center. The drive takes your through exotic lava fields on both sides of the Ring Road as you will pass the alien-planet-like landscapes formed by volcanic activities and glacial movements. As you drive pass Breidamerkurjokull glacier tongue, you will see huge icebergs floating on cerulean water, and you know you are approaching Jokulsarlon parking lot. Feed by the glacial meltwater from Breidamerkurjokull, Jokulsarlon is now the deepest lake in Iceland with the deepest point reaching down to 200 meters (6556 meters). In summer, there are boat tours taking visitors closer to the icebergs, and if you are lucky you will see seals swimming and enjoying their day in the lake. 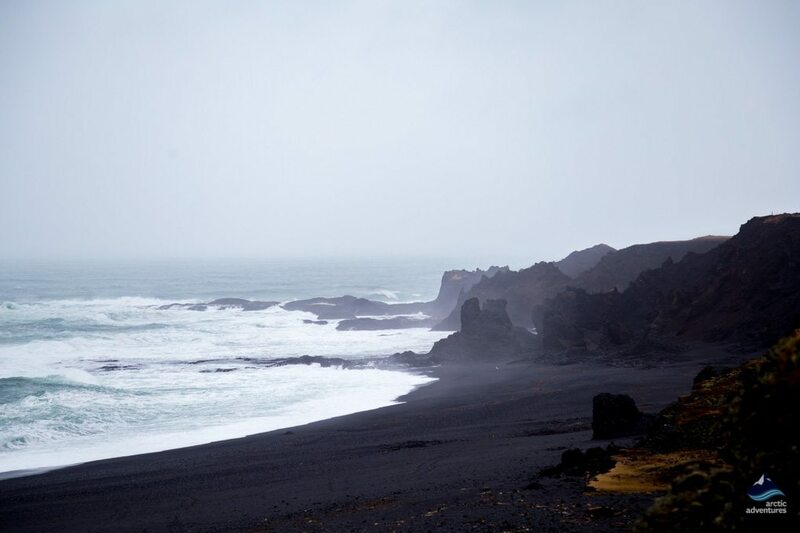 Next to the lagoon is the black sand beach that we call the Diamond Beach. The name is a vivid depiction of the melting icebergs getting washed on the shore and their glamour continued to amaze people with their charming shades of blue. There are glacier tours to Vatnajokull with departures from the Lagoon parking lot as well. After a complete visit to the lagoon area, you will drive to Skaftafell or Hofn area for your accommodation. As a flourishing harbor town, Hofn is a nice stop when you look for recreational spots, cozy restaurants and grocery stores, and thermal swimming pools. A lobster festival is hosted every year in Hofn that attracted a lot of visitors for the local gourmet. The road to Eastfjords is extraordinarily scenic as it starts to move into the unique fjord scenery that’s carved by glaciers dated many centuries ago. It’s one of the most exciting moments on your road trip in Iceland. You will soon reach the spectacular mountain Vestrahorn. Its jagged appearance stands out amidst the beach and mossy bumps in the nearby fields. If you are an avid photographer, here is your moment to capture the splendor of Iceland’s natural beauty. Next up, it’s a nice fishing village named Djupivogur. The vibrant town is located in between mountains and lagoons, and it’s a perfect bird watching base for nature lovers. A colony of seals is often spotted in the area. But East Iceland is only famous for fishing towns and fjord sceneries, you will also find numerous points of interests along your drive. For example, Stodvarfjordur, a town rich in Icelandic culture heritage although there are only 200 inhabitants. One popular site is the Petra’s Stone Mineral Collection. You will see a range of Icelandic stones in different shapes, colors, and textures, and learn a great deal about Iceland’s geography. Talking about geography, the Rind Road will lead you to the largest forest in Iceland. Hallormsstadaskogur is a flourishing green area full of different type of trees and a great picnic spot in summer. Growing vegetation in Iceland has been a challenging process due to the subarctic climate which makes the forest a rare sight. Moving away from the green region, you will drive to see two stunning waterfalls. Hengifoss and Litlanesfoss, close to each other along an easy hiking trail, are two famous waterfalls in East Iceland. Each one has its own distinctive feature. Hengifoss has a drop of 128 meters (419 feet) cascading down from a cliff made of red clay and black basalt strata layers. Litlanesfoss waterfall is a spectacle in a smaller scale as the water moves in the middle of volcanic rocks and hexagonal basalt columns. The two waterfalls are the highlights of the day and you need to get your hiking gears ready to see them! Continue to the East, you will arrive Egilsstadir or the Eastfjords area to stay for the night. Driving from East Iceland towards the north, you will traverse the wilderness where reindeer call home. If you are lucky, you will spot reindeer herd, the Arctic Foxes, and the Icelandic horses. North Iceland has a lot to see. 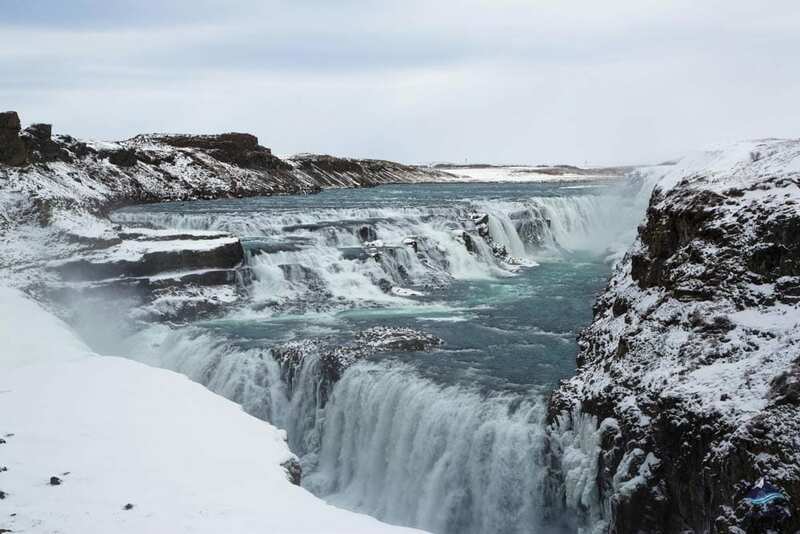 The first stop will be the magnificent Dettifoss waterfall. As the most voluminous waterfall in Europe, the width of Dettifoss extends over 100 meters (328 feet) and has an overwhelming fall of 45 meters (147 feet) in height. The magnitude of the falling flow constantly creates a great amount of spray floating over the canyon making it a perfect spot for filming movie of a mythological subject. Like the 2012 movie, Prometheus took advantage of the scene. After appreciating the sheer volume from Dettifoss, you will head to one of the most popular routes in Iceland, the Diamond Circle Route, consisting of a group of unique landscapes and diverse attractions. The first stop will be in the Hverarond and Namafjall area. The area looks mind-blowing since it’s completely infertile and filled with a sulphuric smell as the scattered cracks shooting out steam from underneath the earth, and the bubbling mud pots rolling amidst dried clay. Then you will head to the Myvatn area. Myvatn Nature Baths is the alternative of Blue Lagoon in the north but it’s less crowded. You can choose to spend a relaxing time in the natural baths at an additional cost or continue your journey to Myvatn, a huge lake that’s surrounded by tiny craters. Its name has a very interesting meaning in Icelandic which literally means midge lake. But the sighting of the beautiful lake is the opposite of hearing the unpleasant sound of the insect. The area is very picturesque. After a complete visit to Myvatn Lake, you can drop by Dimmuborgir rocks. It’s an area full of rock formations in weird shapes where subarctic vegetation finds it home. The next stop, Godafoss, is a mind-blowing waterfall that has a mighty look as its mighty name. It means “waterfall of gods” in Icelandic, and it has a nearly perfect symmetrical layout as the cascades pouring over the edge of the 12-meter high cliff in a width of 30 meters. It’s a popular site for landscape photography and you will not be disappointed with your result. Finally, you will drive to Akureyri, the capital of the North. The city has a great vibe for nightlife and several attractions worth to explore. You will stay either in Akureyri or the Eyjafjordur area for the night. Waking up in Akureyri area, you will feel refreshed as the vibrant city has a vibe mixing remoteness and hospitality. Many cultural and musical festivals are hosted here every year, so please check the city’s event calendar. 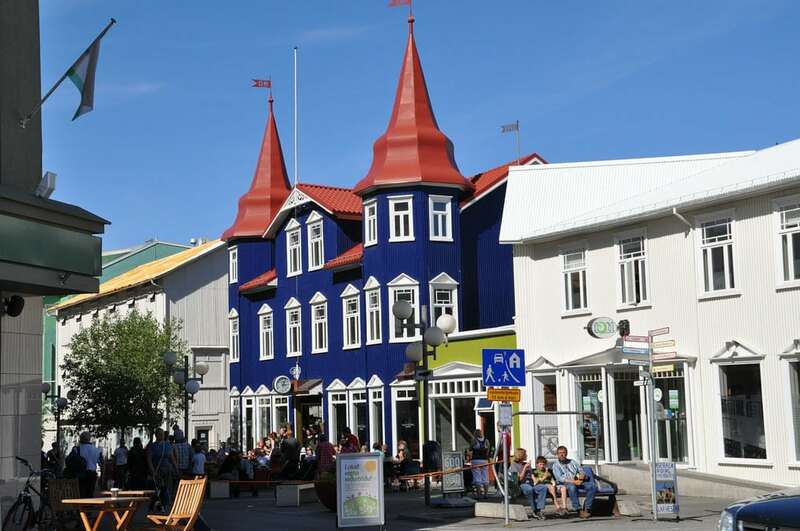 You can spend some quality time in Akureyri visiting botanic gardens and colorful streets. 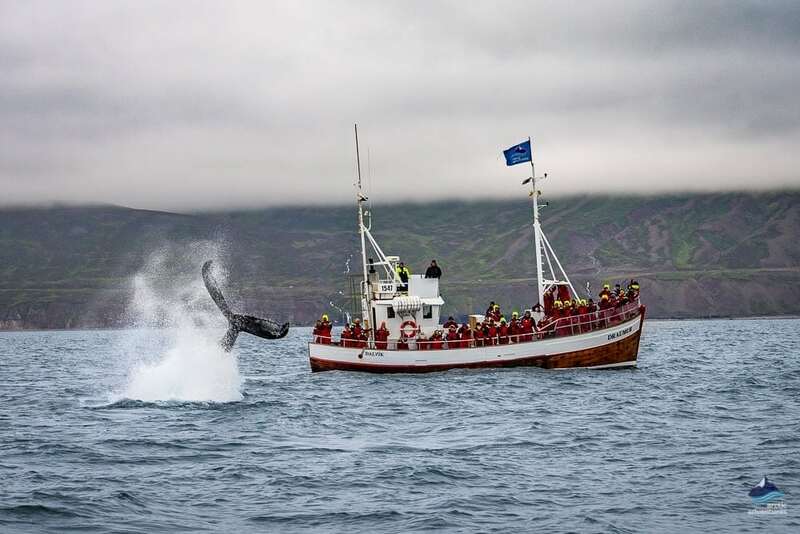 Then, you will drive to Dalvik for the pre-booked whale watching tour that departs at 1:00 p.m. Dalvik is a whale watching paradise as it’s famous for the extraordinary sighting rate of 99% in summer. The boat ride is an exciting excursion as well since you will witness the lively marine creatures in the ocean in the middle of an incredible seascape. After the cheerful whale watching tour, you will continue your road trip towards the west as you drive along Skagafjordur. The landmark you will see in this area is the 700,000-year-old Drangey Island rising afar above the ocean in an isolated pose. The edge of the volcano remnant is considerably deep, and the cliffs are paradise for seabirds. Next up, you are going to visit the impressive Hvitserkur sea stack. There are a few nicknames for the natural monument as its shape resembles a rhino or an elephant, some even say it looks like a dragon from some angle. The remote sea stack is located off the Vatnsnes east shore. As you approach Vatnsnes, you have passed many turns and curves on Route 1 in North Iceland on your scenic drive. You will stay in the Vatnsnes area for the night in a comfortable room we have booked for you. The town of Vatnsnes is quite beautiful, and you can take a leisure stroll to see seals or seabirds, especially in summer when you have longer daylight. You will head to the west to visit the Snaefellsnes Peninsula, the charming region of Iceland that we nicknamed it “Miniature Iceland.” The drive from the north to the west is never a boring task since you will pass shallow shores, grass fields, and rolling mountains. Kolugljufur Canyon will be your first stop of the day. The hidden gem has an awesome waterfall running over the hilly area before going into the bottom of the canyon. Grabrok crater is the next stop before you steer your wheels towards the peninsula. The height of the crater’s edge can reach up to 170 meters and the panoramic view on top is fabulous. Then you will get off the Rind Road and drive towards the tip of Snaefellsnes. Stykkisholmur can be your first stop as its a town located on the north side of the peninsula and you will find the tiny colorful town quite charming. You can even try some dried fish there. The highlight of the day is when you reach Kirkjufell. 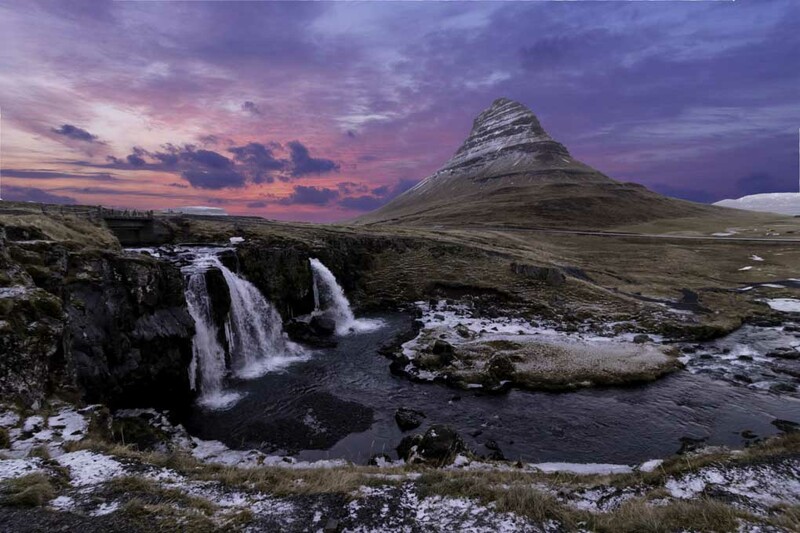 It’s the most popular attraction on Snaefellsnes, and the 463- meters-high Kirkjufell mountain and the fabulous Kirkjufoss waterfall together are being photographed by many artists as the most classic composition. As you drive further into the peninsula, you are getting closer to the sublime ice-capped Snaefellsjokull glacier. The area is protected as the Snaefellsnes National Park where you will find Iceland’s rare white or even golden beach, with the black church of Budir sits on it, Djupalonssandur and Dritvik cove, and Longrangar rock pinnacles. The area is truly the best representation of the diverse landscapes of Iceland. Continue towards the east, you will reach Hellnar and Arnarstapi. Both locations are famous for picturesque coastal views. You will see the white waves crashing on the bottom of the basalt cliff along the coastline where several species of seabirds choose to nest. You will stay in the Snaefellsnes Peninsula for the night in a comfortable room. You will get back on the Ring Road on Day 9 as your journey will take you back to the capital. But before you reach Reykjavik later in the day, there is a lot for you to see and visit along Route 1. First, you will arrive at Gerduberg Cliff, a gigantic wall of huge basalt columns rising from the ground up to 14 meters high. The style is nothing like what you have already seen in Iceland because its sheer size looks overwhelmingly impressive. Next up, you will drive via the less busy but equally stunning Silver Circle Route. 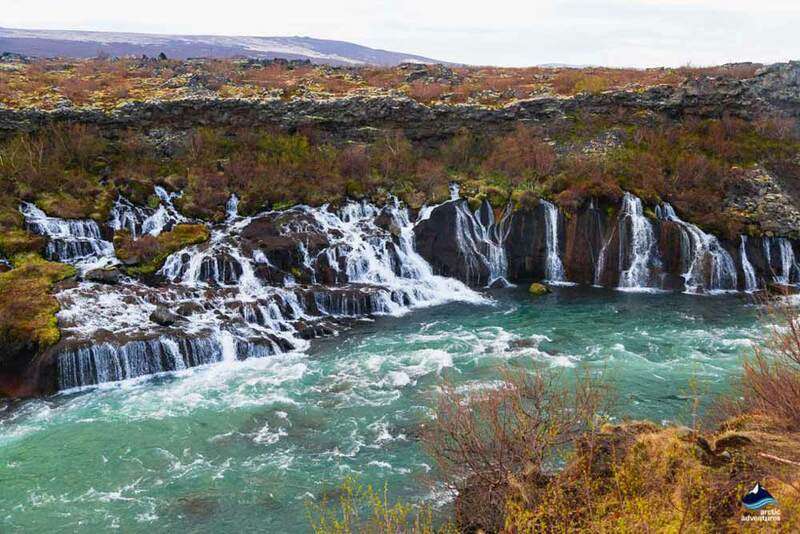 It resembles the Golden Circle Route as it also has beautiful waterfalls, geothermal fields, and cultural heritage. The most power hot spring in Europe, Deildartunguhver hot spring, is the first site. It’s capable of producing 180 liters of 100 °C hot water every second. The nearby towns’ household heating depends on the powerful thermal energy. Then you will visit two beautiful waterfalls since they are very close to each other. Hraunfossar has countless streams flowing out of the lava fields in the middle of vegetation, and it’s how the waterfall got its name, the Lava Waterfall. No matter it’s in summer or winter, Hraunfossar always has something unique to show. A few minutes walk away you will find Barnafoss waterfall forcefully cascading down to a small canyon. The entire area is fabulous, especially in Autumn. Continue driving towards the capital, you will pass Akranes, a scenic town that’s about one hour drive from Reykjavik. You will find an old lighthouse on the tip of the town, recounting the old days when marine life was essential to Icelanders. Then you will drive past Hvalfjordur either through the tunnel or get on Road 47 for more sightseeing if time allows. Finally, in the evening, you will reach Reykjavik for a nice dinner if you want and check in your accommodation we have booked for you in the Capital Region. This is the last day of your 10-day road trip via the Ring Road of Iceland as you will head to Keflavik International Airport for your departure. 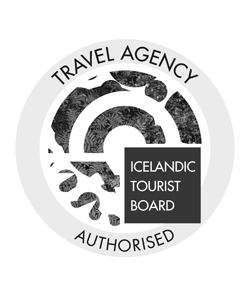 But before you board your flight, be sure to make the most of your remaining time in Iceland since you are going to drive through the Reykjanes Peninsula where the famous Blue Lagoon is located. If your flight schedule allows abundant time, you can explore the region that covers the following highlights. The southern part of the peninsula has numerous attractions such as the port town Grindavik, the magnificent view from Hopsnes Peninsula, the Bridge Between Continents, and the Blue Lagoon. After visiting the Reykjanes Peninsula, if you are not in a rush to catch your flight, we highly recommend a soak in the milky blue water at Blue Lagoon. Since the entry fee is not included in our package, it’s best to book your spot online in advance. You can relax in the warmth of the therapeutic water while you think about the 10 day adventure you just had. 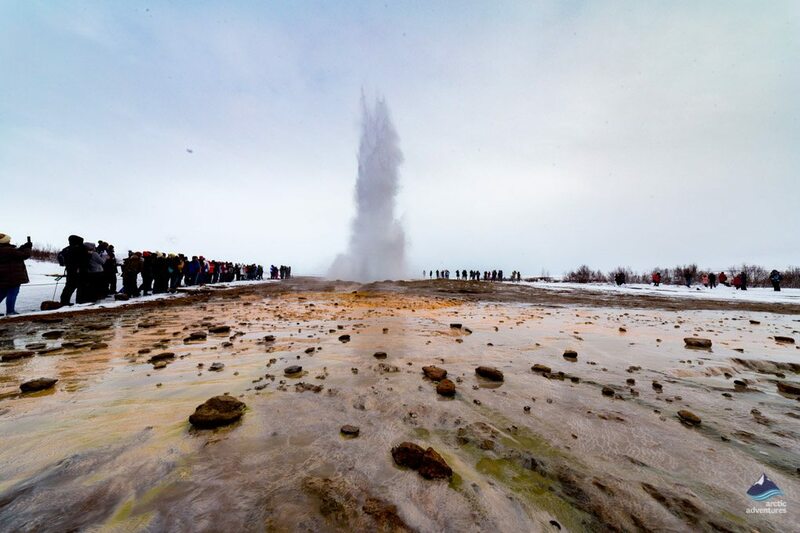 The 10-day self-drive tour, with Reykjavik, the Golden Circle and Snaefellsnes Peninsula included, is an ideal road trip package in which you will see the best and the most beautiful things in the land of fire and ice. For many self-planned road trips, going through several steps before you rent a car seems time-consuming. In this package, all you need to do is to pick your ideal rental car, since we take care of a huge portion of planning with helpful information provided. We have carefully designed the 10-day itinerary for a slow-paced self-drive experience to make sure it’ll be amazing and unforgettable.